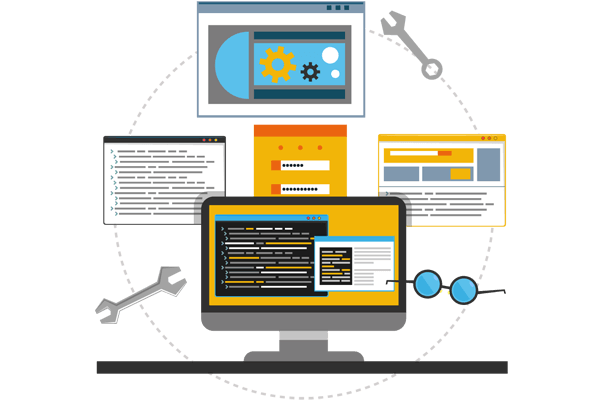 Prometteur Solutions offers custom web application development, maintenance that helps client to best technical infrastructure for the benefit of organizational progress and effective implementation of strategic decision making. Every day individuals log on to web application for different purposes like location searching to jewellery shopping, Prometteur Solutions provide all kind of web application solutions for every single need of client. Our web application development team focuses on developing user friendly application which makes user comfortable to access required information in simple manner. Businesses around the globe making effective use of internet, our custom web application provide you wide range of services in multiple business domains. Prometteur invests in good work ethics and actively pursues long term support contracts for our web applications. We do not compromise on quality nor do we allow our cost effectiveness to ebb in the processes we use. All of the services we offer greatly benefit our clients, providing their users with a satisfying interaction with their site,and finally producing a greater return on their investments.